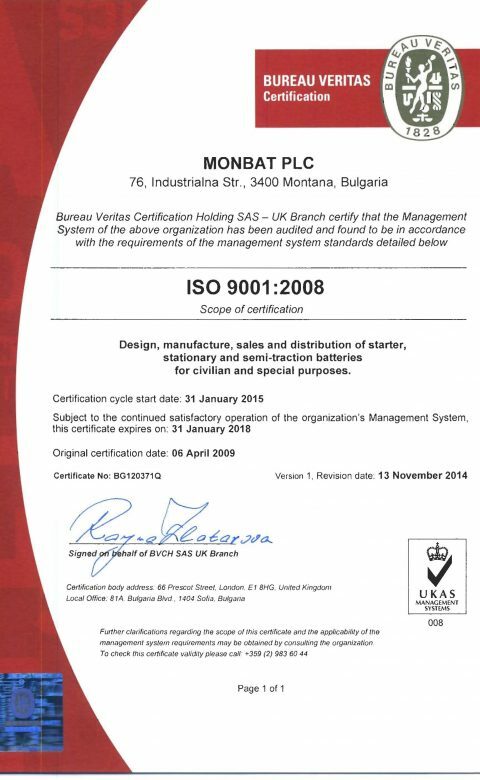 MONBAT continuously strives to improve the way it operates, in all possible aspects: developing innovative products and technologies; increasing market share; managing risk more effectively; improving customer satisfaction. The established quality management system provides for a reliable framework capable to monitor and improve performance in the area of activity. ISO 14001 is an internationally accepted standard that sets out how a company can put in place an effective Environmental Management System. The standard is established to address the delicate balance between maintaining the efficiency and reducing the impact on the environment by committing the entire organization to achieve both objectives. 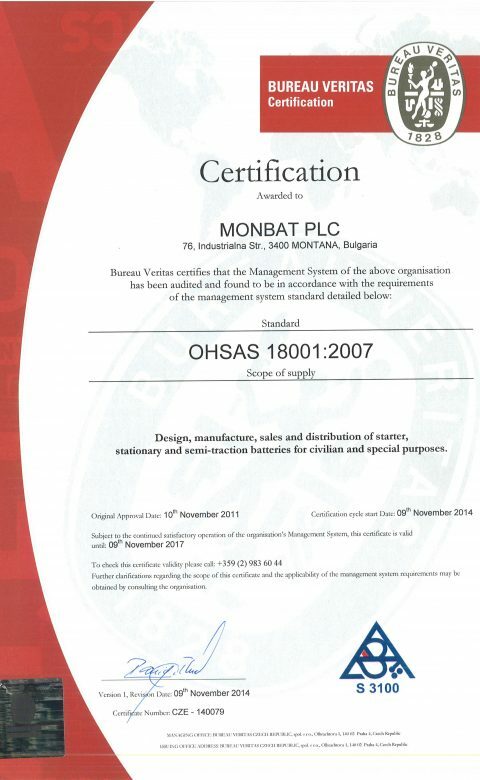 OHSAS 18001 is an internationally recognized assessment specification for occupational health and safety management systems. It is developed by selected leading trade and certification bodies based on international regulations and aims to address the gap where no common international policy exists. AQAP certificate (“Allied Quality Assurance Publications”) is a group of standards for Quality assurance systems developed from the Military Standard. This standard contains the regulations for the development, construction and production, as well as for the quality inspection and final testing of military goods. ISO/TS 16949 is an ISO technical specification which aligns existing US, German, French and Italian automotive quality system standards within the global automotive industry. It specifies the quality system requirements for the design/development, production, installation and servicing of automotive-related products.